Have the CDDS optional tool been updated recently? If they haven't been I can write up some quick tutorials on what they do and how they work. Those were all tools I had asked "was it possible to" and you did your magic and created them, so I know what they were created to do. That would great. No, none of the tools have change. Where/how is the category data stored in the DIM? Is it something I could open a DIM and insert a snippet of text? Like opening 20 or so DIMs using Notepad++ insert <some text to assign a category> and then save the files? Or is this something that would have to be done using the Update DIM utility? Could it even be done using the Update DIM? 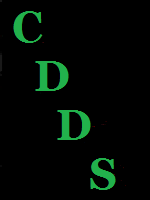 I'm not thinking of something to be added to CDDS, I'm just looking for a fast way to bulk add a category to some DIMs. I'm hoping to avoid having to have to recreate the DIMs lol. The category data is stored in the support.dsx file. Chances are the DIMs you made don't have that file so you would have load them into CDDS one at a time to set the category data as each support.dsx will be different. Thanks RDM! I'll have to let my OCD stew over it for a bit and see if it's gonna be worth it to my sanity go update all those pre-CDDS DIMs lol. @Akkaal wrote: Thanks RDM! I'll have to let my OCD stew over it for a bit and see if it's gonna be worth it to my sanity go update all those pre-CDDS DIMs lol. 99.9% of the time OCD wins.